One podium, one pole position and one fastest lap – Felix Rosenqvist has enjoyed a strong start to electric life in the FIA Formula E Championship. Holding fourth in the overall standings after the first two races of the season, the Mahindra Racing rookie is eager to get back to business as the 2016-17 campaign resumes this weekend in the colourful Argentine capital of Buenos Aires following a three-month winter break. The first Swede ever to race in Formula E, Rosenqvist’s promising start to his maiden season in the all-electric single-seater series has seen him emerge as the leading rookie in the early stages of the campaign. Vying for a top three result at the Hong Kong ePrix back in October until clipping a barrier and losing time before his pit stop, the 25-year-old fought back in the second half of the Asian season-opener to set the fastest lap of the race, and then went on to claim another two milestones at the following event in Marrakesh a month later as he delivered Mahindra Racing’s first-ever pole position in qualifying and took the chequered flag in third to bag a maiden podium. 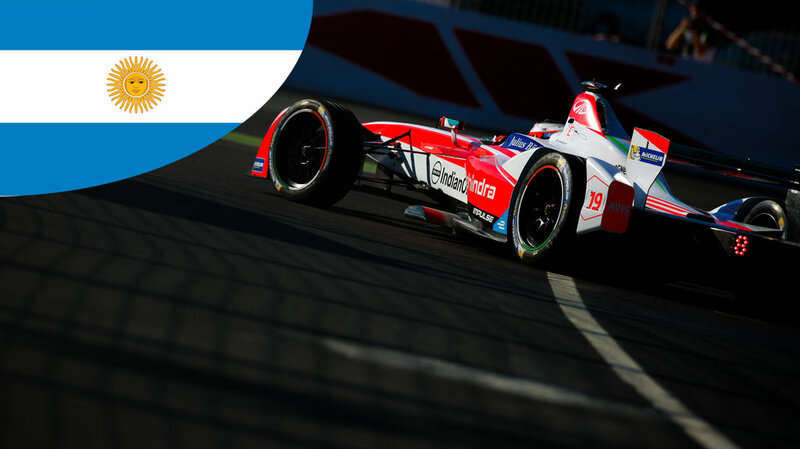 Despite the early success, however, Rosenqvist refuses to get carried away as racing resumes in Buenos Aires – the only track to have featured in all three Formula E seasons to date. In a bid to eradicate some of the hurdles that could face him in Saturday’s race, Rosenqvist has spent significant time preparing for the Buenos Aires ePrix with Mahindra Racing’s engineering staff. Four days of work fine-tuning the squad’s simulation tools have been coupled with thorough analysis of the 2,480 km Puerto Madero street track that hosts the event, and Rosenqvist is confident of having made his homework. Saturday’s Buenos Aires ePrix takes place at 16.00 local time (GMT-03:00), with the weather likely to play an essential part in the outcome of the race amid forecasts of highly changeable conditions ranging from 35-degree heat to heavy rain. 1: S. Buemi (SUI), 50 p.
2: L. di Grassi (BRA), 28 p.
3: N. Prost (FRA), 24 p.
4: F. Rosenqvist (SWE), 19 p.
5: S. Bird (GBR), 18 p.